What must-see destination should you visit in Alaska? In 2019, Alaska will celebrate 60 years of statehood. That may not seem like a long time compared to some much older states (like some of the original colonies, established in 1787), but it’s a good reminder that Alaska is a young state with a history that is still being written. We are, after all, number 49 out of 50. Visit one of Alaska’s many museums: the Anchorage Museum, the University of Alaska Fairbanks Museum of the North, the Alaska State Museum in Juneau and Anchorage’s� Alaska Museum of Science and Nature are all great places to spend the day soaking up knowledge and culture. 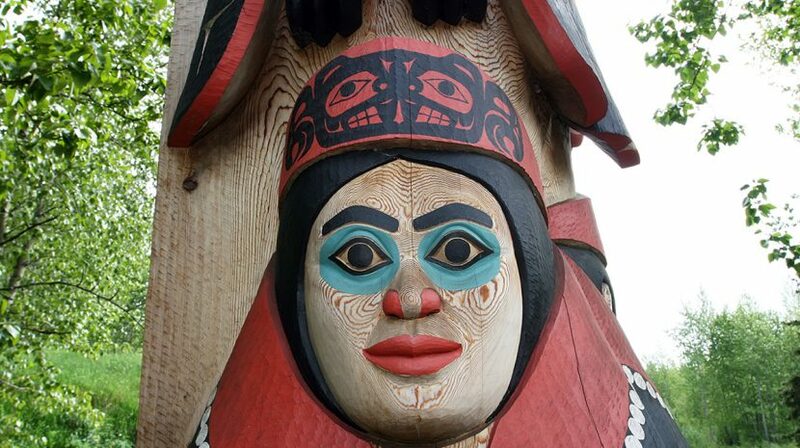 Learn about totems and the stories they tell at Totem Bight State Historical Park in Ketchikan, known as “Alaska’s First City.” Also in Southeast, Klondike Gold Rush National Historical Park in Skagway is a great place for a walking tour through Gold Rush history. The Alaska Native Heritage Center in Anchorage is a must-visit for residents and tourists alike. Visitors can gain a deeper understanding of Alaska’s indigenous people through tours, artifacts and art, and can even explore six different life-size Alaska Native dwellings on the grounds. The Alaska Aviation Museum, also in Anchorage, is located on Lake Hood, the largest seaplane base in the world and a great stop for all things aviation history. Explore four hangars of vintage aircraft, a restoration hangar where volunteers are hard at work restoring vintage aircraft and a control tower where you can watch seaplanes take off into the sky. If you fit even a couple of these places into your trip, you’ll leave the state feeling like a certified Alaska history buff! © 2019 Princess Lodges, All Rights Reserved.